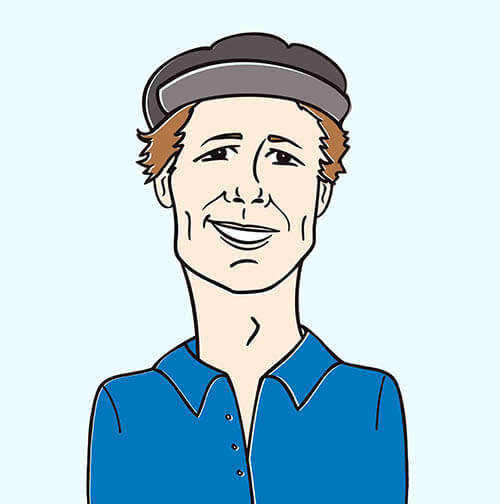 Greetings programming brethren, it’s Andy Gesner and the HIP Video Promo staff bringing you round two of a band we’re proud to call one of ours: Columbus, Ohio’s Red Wanting Blue. Plenty of bands talk about being road warriors, but few bands stick around long enough to do what Red Wanting Blue and its leader Scott Terry have done. Terry has been driving circuits around the heartland of America for the last decade, crawling under his bus when it breaks down and gaining fans the hard way: one by one. It’s these hard won fans that are the most loyal and the ones that rightfully believe that rock and roll music lives and dies by the live show. So it’s only appropriate that the new video for Red Wanting Blue’s “Audition” is an encapsulation of the band’s live energy. But before we talk about the video, let’s talk about the song! “”Audition” is a no frills example of how heartfelt lyrics, great production values and top notch musicianship can carry a song into classic territory. Terry pours his heart out, singing of being on the short end of a missed opportunity, a lost moment in time, and how sometimes what we need can be right under our own nose if we’re just given a chance. We’d expect nothing less from Terry and Red Wanting Blue, with its new album From The Vanishing Point continuing a reputation for creating anthemic, uplifting songs that stay relatable by not glossing over the reality beneath the sunshine. While Red Wanting Blue’s previous “Where You Wanna Go” video actually brought you on the road with the band inside its gutted and customized airport shuttle tour bus (decorated with Terry’s thrift store trinket finds), this time the cameras go inside the venue so that we can see what all the fuss is about. 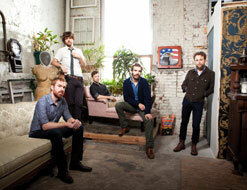 Shot live on location at a sold out show in the band’s hometown venue Newport Music Hall, we get a little taste of the riveting live show that has put the stamp on Red Wanting Blue’s reputation as one of the most talked about rising touring acts east of the Mississippi. And west of it too. Passionately lamenting his role as “just a friend”, we see Terry pleading for a chance to have a larger role. The crowd hears his plea and helps lift his booming baritone voice to the rafters. We’ve learned that Red Wanting Blue is a band worth taking that chance on, and those in the know understand that you should never underestimate the power of these songs and the undeniable drive and dedication of this quintet. We are very pleased to once again be working with the Fanatic Records crew to bring you another rock solid offering from Red Wanting Blue. You can be certain that the band will be coming to a market near you in the near future, so please be in touch to set up a video interview or to go check them out live. We’re also well stocked with copies of From The Vanishing Point so drop a line to get your hands on some copies! If you need more info you can call Andy Gesner at (732)-613-1779 or drop us an email at HIPVideo@aol.com. You can also visit www.FanaticRecords.com or www.RedWantingBlue.com for more info on Red Wanting Blue. Red Wanting Blue – Audition (Official Music Video) from Red Wanting Blue on Vimeo.